…Bioluminescence has been “invented” dozens of times in evolutionary history and serves a variety of purposes, from attracting mates and luring prey to warding off predators. …The exact method of how mushrooms can generate a spooky glow remained a mystery, in contrast to the elucidation of the light-emitting pigments used by the many other forms of life that can generate bioluminescence. But now a team led by Ilia Yampolsky of the Institute of Bio-organic Chemistry in Moscow has finally teased apart the chemical structure of the fungal protein used to generate the ghostly glow of foxfire. …This would be a key breakthrough in, for instance, designing a genetically modified tree that could glow in the dark and act as a sustainable source of street lighting. The idea is not as crazy as it may seem. BC Lumber Trade Council president Susan Yurkovich has responded to yesterday’s joint statement on softwood lumber by Prime Minister Justin Trudeau and President Barack Obama. The statement reads: “British Columbia lumber producers are pleased that the Canadian and U.S. governments have committed to continue intensive discussions with a view to achieving a renewed agreement on softwood lumber by the fall of this year. “Yesterday’s statement from the Prime Minister of Canada and the President of the United States reiterated the importance of trade in softwood lumber for both countries, and set out the key features that have been the subject of discussions to date. With B.C.’s billion-dollar softwood lumber business on the line, the province has been closely watching talks this week between U.S. President Barack Obama and Prime Minister Justin Trudeau – although a new trade deal remains elusive. The two leaders released a statement following their discussions on Wednesday that said the two nations had made important progress in negotiations, but significant differences remain. The trade pact expired last year. “British Columbia appreciates that the federal government continues to make finding a negotiated solution to Canada-U.S. lumber trade a top priority,” Forests Minister Steve Thomson said. Truck Loggers Association worried about job losses in coastal communities. Mayors of B.C.’s coastal towns have expressed a lack of optimism for the forestry industry, according to a survey from the Truck Loggers Association. Twenty-seven mayors responded to the survey, said David Elstone, executive director of the association, which represents independent coastal logging companies. Elstone said many of the mayors said forestry in B.C. is in worse shape than it was a decade ago. …Other findings from the survey included a slight increase in support for log exports, strong support for First Nations’ involvement in the forestry sector and a desire from mayors to change the image of the forestry sector to attract younger workers. CHARLESTON, W.Va. — An agency that represents logging operators and timber owners is blaming Gov. Early Ray Tomblin for state Division of Forestry layoffs. The Charleston Gazette-Mail reports that the West Virginia Forestry Association said Wednesday that Tomblin could have shifted funds from discretionary accounts to prevent the layoffs, which affected 37 employees who battle wildfires and monitor logging sites. 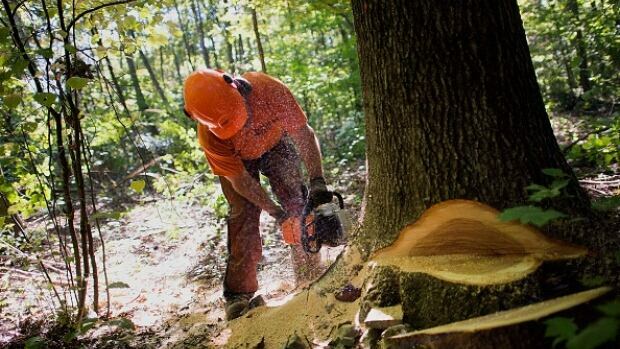 On Thursday, the U.S. Department of Commerce announced that it would establish an integrated, multi-agency Economic Development Assessment Team to assist Maine’s forest product industry following the string of several mill closures. The catalyst for the EDAT comes from a March 2016 letter from Maine’s congressional delegation to Commerce Secretary Penny Pritzker. The goal of the EDAT will be to use multiple federal government agencies and solicit stakeholder input, to create economic development strategies to assist job growth in rural Maine communities, many of which have been hit the hardest by the recent hardships of the forest product industry. UPM, Helsinki – UPM invests EUR 98 million in Kymi pulp mill in Finland to further strengthen its position as a supplier of bleached chemical pulp for growing consumer and industrial end-use segments like tissue, specialty as well as packaging papers and board. “Over the past three years we have significantly improved the production efficiency of our pulp mills. This EUR 98 million investment in Kymi will strengthen our position on the pulp market with competitive costs and low risk. After the completion of this project, we will have increased our annual pulp production capacity altogether by over 500,000 tonnes since 2013,” says Heikki Vappula, Executive Vice President, UPM Biorefining. A six-storey building in San Diego shook, rattled and rolled one day recently as it was subjected to an earthquake. A test earthquake. The building was fitted out with more than 250 sensors, more than 40 video cameras and a GPS system, all intended to help researchers assess how well the building stood up to the tremblor. The building was erected on a large shake table at the University of California (UC), San Diego. The test was part of a series aimed at determining whether lightweight steel structures are a better option than wood-frame structures for tall residential buildings in earthquake-prone areas like California. The building was designed to replicate a six-storey apartment building, so it is equipped with things like water heaters and stoves — things that have the potential to start a fire during an earthquake. HOBART – A new recycling effort in Brown County is not only better for the environment — it’s better for pocketbooks, too. Clean wood waste is now being accepted at Brown County Solid Waste Transfer on West Mason Street. Until now, most wood waste, like fencing or pallets, went straight to the landfill. The Brown County Resource Recovery Department’s new recycling program aims to reduce the amount of wood being thrown in the landfill and instead turn it into a usable resource. The department has partnered with Wisconsin Waste Wood Recycling in Suamico to turn the clean wood waste into boiler fuel for heating. Clean wood includes any decking, fencing, plywood or pallets that are unstained and untreated. New water quality standards proposed by the federal government for the St. Croix River could cost the Woodland Pulp mill millions of dollars and also could affect a number of communities, including Baileyville and Calais, that discharge wastewater into the river. The proposed rule by the U.S. Environmental Protection Agency (EPA) would make more stringent 96 human health criteria as well as other standards related to bacteria, ammonia, pH, temperature, phenol and the state’s mixing zone statute. The EPA proposed the water quality standards to address various disapprovals of Maine’s standards that the EPA issued last year. The federal agency had disapproved of the state’s standards as a result of a lawsuit the state has filed challenging the EPA’s authority to set standards in Maine. ASHEVILLE – This city will be the site of the continent’s largest structure made from an alternative building product praised for its usability, flexibility and low environmental impact. That is according to an Asheville architect whose firm plans to build a six-story apartment complex for homeless veterans made from cross-laminated timber, or CLT. Crawford Murphy’s firm, MDS10 Architects, also wants to start producing CLT and hopes to become North America’s largest manufacturer of the tree-based construction product “CLT is the most sustainable and advanced wood technology in the world today,” Murphy told the City Council on June 28. At that meeting the council approved a six-story, 88-unit complex to be built for Asheville Buncombe Community Christian Ministry in East Asheville. 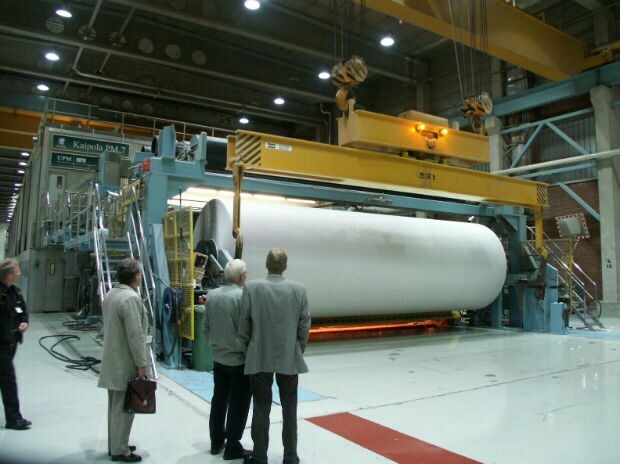 Paper mills in India are likely to see a turnaround in the near term, on account of a revival in demand from consumer industries and softening of raw materials prices, including pulp and coal. Thus, the worst is over for paper manufacturers in India. The latest study by Care Ratings shows that credit risk profiles of companies in the printing & writing (P&W) segment and packaging & paperboard segment in India to improve over medium term on the back of increased demand, softening raw material and lower coal prices. The timber industry believes the government’s announced boost to home construction, through a Housing Infrastructure Fund, needs to have a timber focus. Woodco chair, Brian Stanley, says the volume of housing resulting from Prime Minister John Key’s announcement during the weekend can only be achieved through giving priority to timber construction. “If we want that many houses to be built quickly, properly, and with sustainable materials, timber is the way to go. This is even more the case with the medium rise and high density dwelling construction which will be important in Auckland,” Brian Stanley says. If you’ve ever spent a day (or 10) wandering through the greenery of downtown Vancouver’s Stanley Park, you’ve undoubtedly come across the famous Hollow Tree. The majestic (and literally hollow) tree has huge significance for many — even, as it turns out, beloved artist and Vancouverite Douglas Coupland. Coupland was commissioned by real estate developer Intracorp to create a sculpture for display outside of its new MC2 condo and retail development at Southwest Marine Drive and Cambie. Coupland came up with a sculpture version of the Hollow Tree, the plan for which he unveiled Wednesday. Dean Caron likes to compare forests to people — they’re constantly changing. 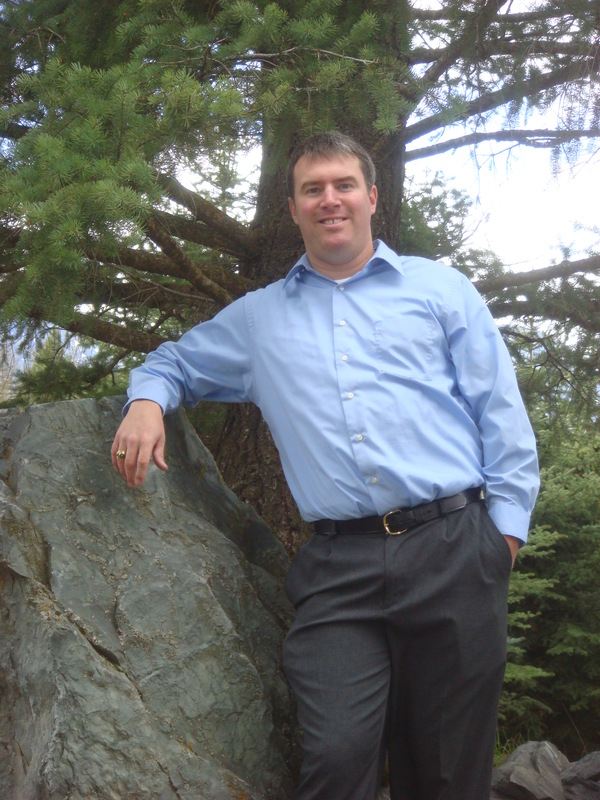 With more than 20 years in the forestry industry, the industry advisor for FP Innovations in Kenora should know. But this isn’t something everybody knows, according to Caron, and he thinks this is where a lot of opposition to the forestry industry comes from. Caron and Kenora’s mayor, Dave Canfield, are fighting back against what they call bad science and advocating for the facts on forestry in Northern Ontario with a study and presentation called “Trees are the Answer.” The concept came to be over lunch in April 2015, with Caron describing to Canfield some work he was doing to educate children about the way forests regenerate after deforestation, and how the forestry industry’s harvesting methods resulted in something more akin to reforestation. The Blackfoot Clearwater Stewardship Project was bundled together with two other collaborative initiatives from western Montana and introduced into the U.S. Senate as the Forest Jobs and Recreation Act for the first time in 2009. Although it was cleared by the Senate Energy and Natural Resources Committee in 2013, the proposal has never received a full Senate vote and U.S. Sen. Jon Tester has yet to reintroduce it this session. Thankfully, Tester has been unwavering and unequivocal in his support for these homegrown forest management solutions. His stance falls in line with the results of a recent poll from the University of Montana that shows three in four Montanans embrace public lands as the treasure they are, and approve of the Blackfoot Clearwater Stewardship Project specifically. The Montana man killed by a bear near Glacier National Park was intimately familiar with both the beauty and the danger of the vast, wild forest that spreads from the shadows of the park’s rugged peaks. But there was seemingly nothing that former park ranger and longtime U.S. Forest Service law enforcement officer Brad Treat could do when he surprised the bear while riding his mountain bike along a trail in that forest minutes from his home. Wildlife officials came up empty Thursday and Friday in their search for the bruin that killed Treat the day before, and they were not even certain what kind of bear it was or whether it was still in the area. A state wildlife response team set up traps, installed wilderness cameras and flew over the area in a helicopter, but it was not clear how long the search would continue. LEWISTON, IDAHO – The Nez Perce Tribe is suing the Nez Perce-Clearwater National Forest over claims that its large-scale timber sale and rehabilitation project violates federal environmental laws. The Lewiston Tribune reports (http://bit.ly/29hU4O6 ) the Clear Creek Integrated Restoration Project is expected to produce 85 million board feet of timber, sustain more than 2,100 jobs and generate $60 million. The suit filed Saturday says the project will harm Clear Creek with sediment and negatively impact fish in the hatchery the forest manages. Juneau, AK — Today, the U.S. Forest Service released its long-awaited proposal for amending the Tongass Land Management Plan and the results are disappointing. We will continue to work with the Obama administration to correct the pervasive mistakes in this plan. Earthjustice has been working to defend this national treasure for over three decades. The following is a statement by one of our lead attorneys working on this issue, Holly Harris: “Instead of making the promised rapid transition out of old-growth logging, the Forest Service’s proposed plan perpetuates the conflict and controversy of clear-cutting Tongass old-growth forests for at least another 15 years and possibly much longer, destroying the very same forests that support our world-class fishing, hunting, tourism and recreation industries. With the recent news that Weyerhaeuser is closing down two of its mills in Columbia Falls, I have experienced many different emotions. How is this possible when the ink has yet to dry on the paper proclaiming that Plum Creek is now Weyerhaeuser? … The fact of the matter is that it’s complicated. Numerous factors have contributed to these closures. The question to ask now is what do we do, or more importantly, what can each of us do? As a community, we can come together to support our laid-off workers and their families. As individuals, we can have each other’s backs while keeping those affected in our thoughts and prayers. HELENA, Mont. — At campaign events, Republican Greg Gianforte touted an endorsement from the Montana Wood Products Association, but the Bozeman businessman may have to walk back that claim after the association said Friday it had not made an endorsement in the gubernatorial race. On at least two occasions, Gianforte said he had the association’s backing. As recently as his May 16 telephone town hall, Gianforte said he was “thrilled to pick up the endorsement” of the group. But association president Paul McKenzie said a poorly worded email between the association and the Gianforte campaign led to a misunderstanding. The word “endorsement” should not have been used in any of the communications, he said. “We have not endorsed either one of the candidates,” McKenzie said. “Both have good attributes on our issues and people will have to make their own decisions about them,” McKenzie said. 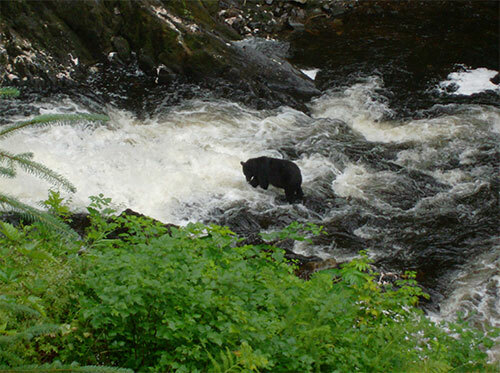 Ketchikan, Alaska – Friday, the U.S. Forest Service issued a Final Environmental Impact Statement (FEIS) and Draft Record of Decision (ROD) in the Tongass Land Management Plan amendment process. According to the USFS, the plan amendment focuses on accelerating the transition from old-growth timber harvest to young-growth while maintaining opportunities for a viable timber industry in Southeast Alaska. The plan also contributes to sustainable and diverse local economies by promoting renewable energy development. …According to Audubon Alaska, although the decision scales back the amount of old-growth trees available for timber harvest in the coming years, there is no firm deadline for finally ending this ecologically destructive practice. …Earthjustice has been working to defend the Tongass National Forest for over three decades and says the Forest Service’s long-awaited proposal for amending the Tongass Land Management Plan are disappointing. An insect smaller than a grain of rice that cost some Alachua County homeowners thousands of dollars the last time it infested the area is back again. The southern pine beetle has been found in three forested areas in the county, prompting hasty cutting with the hope of keeping the bugs from spreading. So far, the beetles have not been found in residential areas but county forester Dave Conser of the Florida Forest Service said they may be coming to your yard. “They’re back,” Conser said. “Hopefully they don’t get into town and tear up people’s yard trees.” John Burns of SkyFrog Tree Service said crews have had to take down trees infested with pine beetles, though he didn’t specify if they were southern pine beetles. Some homeowners needed multiple trees removed, including some along Millhopper Road. GREENWICH — A new experiment in tree planting is being employed at the end of Greenwich Avenue. 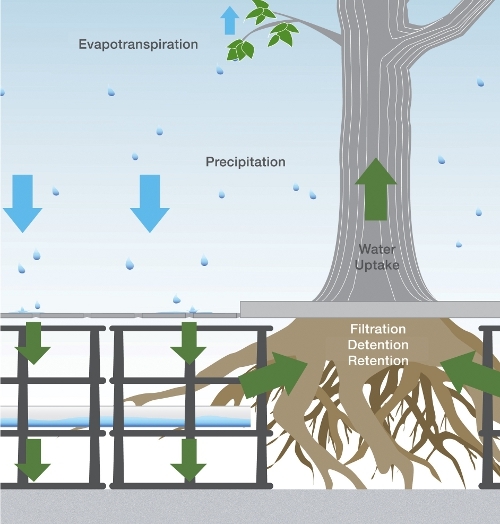 Silva Cell technology allows trees roots to grow more freely than they do under traditional sidewalk construction by using braces to support pavement rather than compact gravel. The braces allow builders to install soil under the pavement, which is more conducive to root growth than gravel. Tree Warden Bruce Spaman recommended the method as a condition of construction during the planning and zoning process for a project at 435 Greenwich Ave.
“We want to create the best wildlife habitat we can.” Those words, from Keel Kemper, a wildlife biologist with Maine’s Department of Inland Fisheries and Wildlife, summed up his agency’s goals for the Jamies Pond Wildlife Management Area in Hallowell, and helped critics understand a proposed timber harvesting plan that has generated quite a bit of concern and controversy. The Jamies Pond Wildlife Management Area is 915 acres in size and features a 107 acre pond as well as 808 acres of upland habitat with is predominantly mixed wood forest. This WMA is set to undergo its first timber harvesting project in more than a decade, covering about 70 percent of the area, prompting questions from folks who enjoy this area about the size and scope of the initiative. A couple who have cared for woodland on their Devon farm for five years face a costly legal battle with national park planners. The ethos is sound – to restore the woods to their ancient glory, to create a small, sustainable business producing timber and firewood, and to teach vanishing forestry skills to anyone keen to learn. They also try to have fun here at the Hillyfield woodland farm, near the village of Harbourneford in Devon, holding a “Woodland Olympics” with axe-hurling, wood-chopping relay races and logging with a horse rather than modern machinery. But the project on the edge of Dartmoor is in crisis after national park planners served enforcement notices demanding that simple structures crucial to the viability of the scheme, including a tented workshop, field kitchen and even two compost toilets, be razed. The planners say the structures are a “visual intrusion” – though they are not visible to anyone who is not within the 45-acre site – and harm the character of the park. The Corporation of Delta continues to battle the fire in Burns Bog today. The fire started at approximately 11:40 am just west of 80 Street, east of Highway 17. The Corporation of Delta Emergency Operations Centre (EOC) was activated at 3:15 pm and has since been joined by representatives from BC Hydro and Fortis BC. Currently, the fire is expanding and the most recent estimate of size is 55 hectares. Fire crews are on the ground and in the process of containing the fire with the support of five helicopters and aerial tankers. The firefight is being conducted by Delta Fire and crews from the BC Wildfire Services and Metro Vancouver. Firefighters from Squamish and Hope have also join the firefighting efforts. Delta Fire is also receiving support at our fire halls from Surrey, New Westminster and Richmond Fire Services. 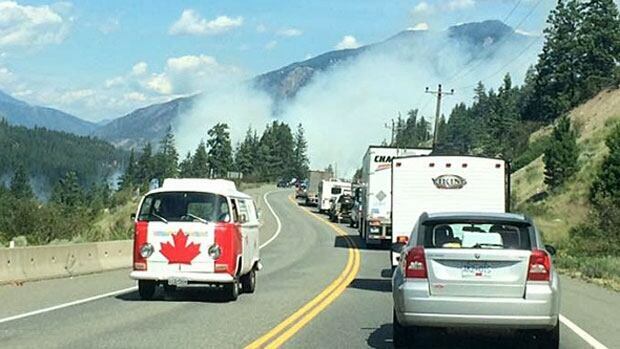 A forest fire four kilometres south of Lytton that shut down Highway 1 traffic from Hope to Cache Creek on Thursday has now been contained. Fire information officer Rachel Witt said the fire was reported mid-morning and grew to about four hectares in size. “It’s an aggressive fire, so we do see open flames … up on the top of the trees, some of them are on fire,” she said at the time. Witt said the fire was on a steep hill and threatened no structures. Thirty-five firefighters and four air tankers and helicopters worked to put it out. Witt says the fire is believed to have been human-caused. People in Fort Smith, N.W.T. are being told to prepare to evacuate the community due to a forest fire burning about five kilometres away. The fire is on the Alberta side of the border, just south of Fort Smith, and hasn’t grown more than four hectares. The Department of Environment and Natural Resources in the N.W.T. 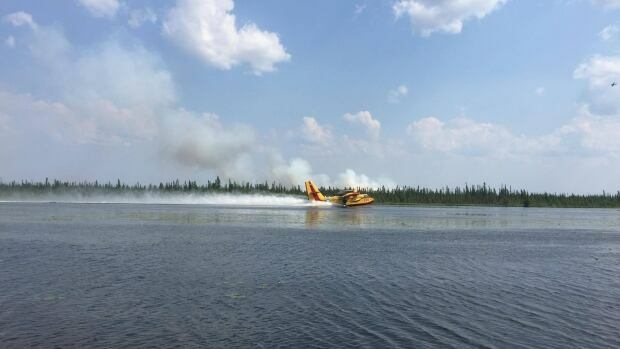 said its crews and crews in Alberta responded to the fire around 1 p.m. Friday. It said the fire is under control and Fort Smith isn’t at risk. Officials with the Town of Fort Smith said they haven’t declared a state of emergency, but residents should still be prepared. Winds are only gusting at 16 km/h, but they’re coming from the south — where the fire is — which poses a greater risk to the community. …In the southern Sierra Nevada, a fire that killed two people and destroyed communities as it spread over nearly 73 square miles near Lake Isabella was 70 percent contained. A final tally counted 285 homes destroyed along with an AT&T microwave cell hub. Twelve residences were damaged. Two shelters remained open but all evacuations have been lifted. The cause of the fire, which erupted June 23, remained under investigation. …At least 400 homes about 50 miles northeast of Sacramento have been evacuated. The fire is threatening more than 2,400 homes, businesses and other structures. No damage to structures or injuries had been reported as of Thursday. The fire was 12 percent contained. …A wildfire burning through grass and sagebrush in the Boise foothills has destroyed a house and an outbuilding, but no injuries have been reported. Authorities say a wildfire in Northern California’s Sierra foothill grew to more than three square miles Friday, forcing 1,650 people from their homes as the blaze threatens structures. The fire started Tuesday afternoon, charging through inaccessible terrain and climbing out of a steep canyon along the middle fork of the American River. Nearly 2,000 fire crew members are battling the blaze about 50 miles northeast of Sacramento. The fire is threatening some than 2,600 homes, businesses and other structures. No damage to structures or injuries had been reported as of Friday. The fire was 12 percent contained. California Department of Forestry and Fire Protection spokesman Daniel Berlant says the Red Cross has set up an evacuation center in Auburn, near Sacramento and 140 miles northeast of San Francisco. The monsoon set in this week, with heavy rain, winds and lightning strikes that made for sometimes dangerous conditions on the fire line — and an unpredictable holiday weekend for visitors. On Tuesday, winds fanned a seemingly quiet portion of the Cedar Fire near Show Low, forcing six members of a Navajo Hotshot crew to deploy their fire shelters as the fire veered toward them. All managed to get into their shelters as the flames approached. After the fire passed, they walked out. Paramedics rushed them to Summit Healthcare in Show Low, where they were treated and released. The incident spurred chilling memories of 2013, when 19 Prescott firefighters were killed in their fire shelters when intense flames swept down on them, burning so hot the shelters melted and disintegrated. 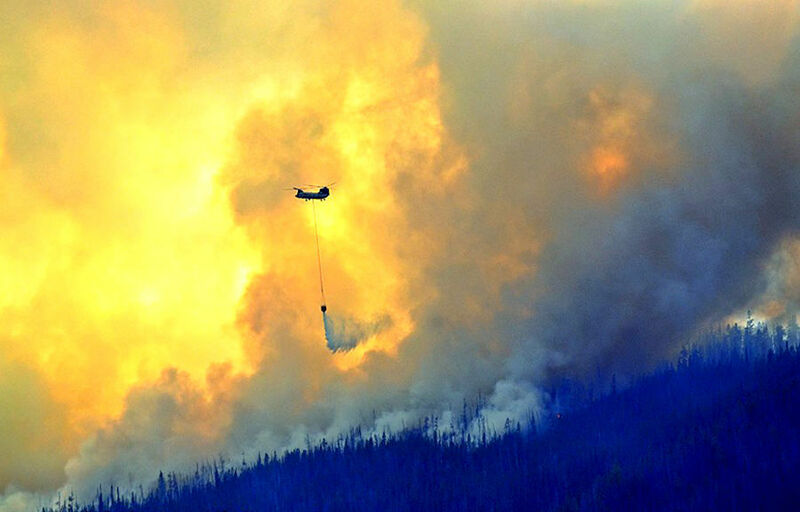 CHILILI, N.M. — A wildfire that destroyed a dozen homes in the Manzano Mountains of New Mexico was caused by a wood-chipping machine being used to clear brush and forest debris to prevent just such fires, the U.S. Forest Service announced on Friday. Forest Service Special Agent Robin Poague said Friday at a news conference that preliminary information made him confident that a wood masticator caused the Dog Head Fire. The investigation is still underway. The fire broke out on the morning of June 14 south of Albuquerque on Forest Service land near Isleta Pueblo and has burned across 28 square miles of land, consuming the homes and at least 30 other structures. It was 95 percent contained Friday. Early market leader continues to innovate when it comes to woody biomass, fuel and recycling wood waste. Learn how you can improve your waste management based on Cloverdale? success. Biomass has been a rapidly growing component of the wood fiber market, but for Cloverdale Fuel, the trend is anything but new. The British Columbia-based wood waste and transport company was formed during the World War II when oil and gas were in short supply and wood fuel for heat was urgently needed. Today, the company boasts the largest grinding machine in Western Canada, serving customers from its 14-acre site in Langley, as well as through satellite locations in British Columbia and Washington state. New facility could produce up to 400,000 barrels of biocrude annually, says Canfor Pulp president. One of the world’s largest logging companies is looking to get into the oil business. Canfor is in the early phases of developing what would be the first ever commercial-scale biocrude oil plant. 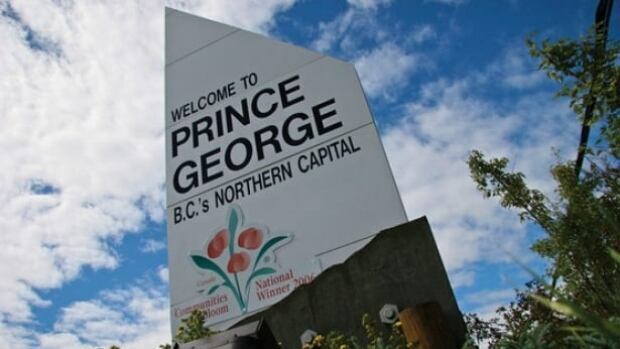 The logging company is looking to convert wood waste from its pulp mills into mass quantities of crude oil at a new facility in Prince George. “In the next few years we’ll be announcing a project and building a real facility that will produce upwards of 400,000 barrels of oil a year,” said Bret Robinson, president of Canfor Pulp. The impending project comes after Canfor formed a joint venture with Australian biofuel production start-up Licella to explore the economic possibilities for large-scale biocrude production plants. Arizona is among the West’s leading states in the growth of big wildfires, says a new report linking the trend to climate change. This state is second among 11 Western states in growth in the number and size of large wildfires on Forest Service land since 1970, says the study from the nonprofit research organization Climate Central. Arizona is also predicted to have by far the largest increase in the number of days with high wildfire potential by 2050. …“Arizona is actually among the fastest warming states in the entire country,” said the researcher, Alyson Kenward, a Climate Central senior scientist and vice president. Fortum Värme, a company jointly owned by Finnish energy firm Fortum and the city of Stockholm on May 9 inaugurated a new biomass-fired combined heat and power (CHP) plant on the shores of Värtan, a strait in Sweden’s capital city. The Värtan CHP8 (130 MWe, 280 MWth), which began construction in 2013, will begin commercial operations in the fall (Figure 5). According to its developers, the plant will use forest residues and wood waste—sawdust, bark, and logging residues from local and regional sources around the Baltic Sea—as well as recovered heat from data centers to produce district heat for nearly 200,000 households. Scientists have discovered why only certain plants can take in extra carbon dioxide when levels rise and help to reduce global warming. Plants take in carbon dioxide for growth, and in a greenhouse, raising the levels of carbon dioxide can boost their growth. This boost is known as the ‘CO2 fertilisation effect’. This effect also works on a global scale, with plants currently absorbing about 30 percent of human CO2 emissions. This helps to remove some extra CO2 from the atmosphere, slowing down the rate of climate change. However, it was not known whether this effect would continue indefinitely, and plants would continue to take up the same percentage of extra CO2 emissions with rising levels.